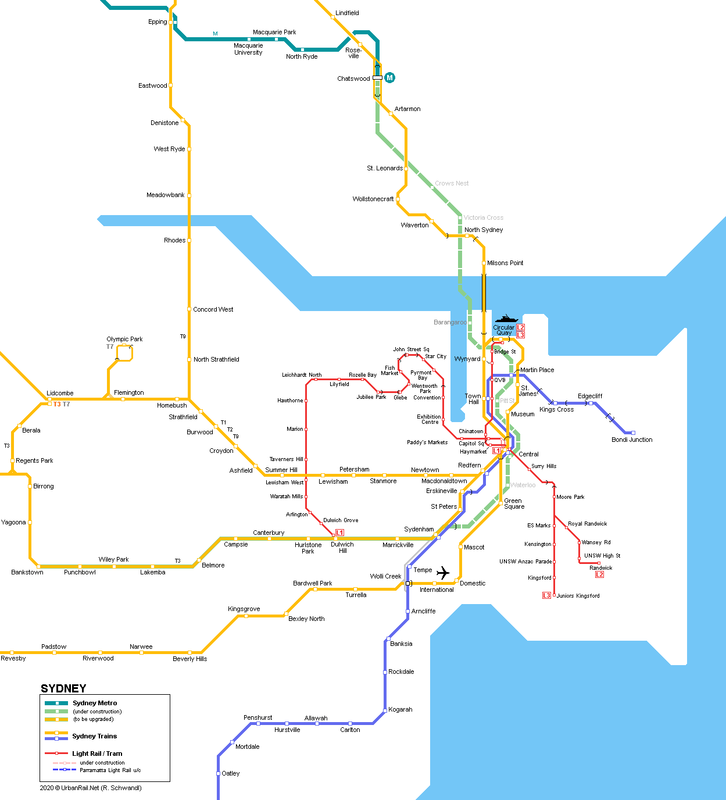 Sydney (approx. 5.3 mill. 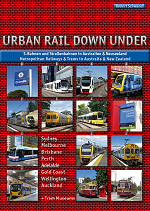 inhabitants), capital of New South Wales and largest city in Australia. 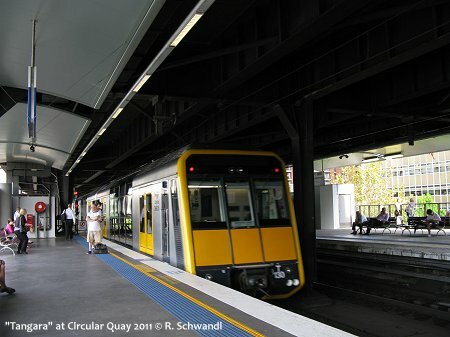 Sydney Trains (formerly CityRail) is a frequent suburban train service which runs underground in the centre of Sydney. 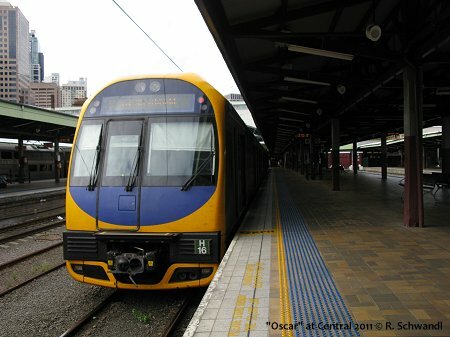 Double-deck trains are used on all routes spreading out from the city centre as far as 60 km to Richmond or 56 km to MacArthur. 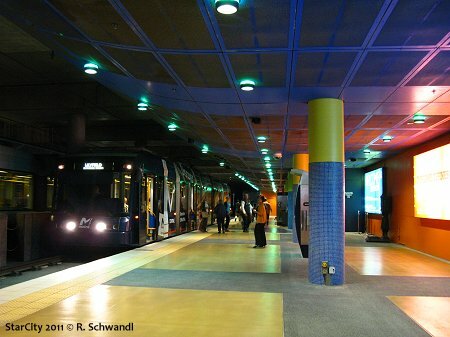 Lines are bundled in the central area and offer a metro-like service with trains every few minutes during peak hours. 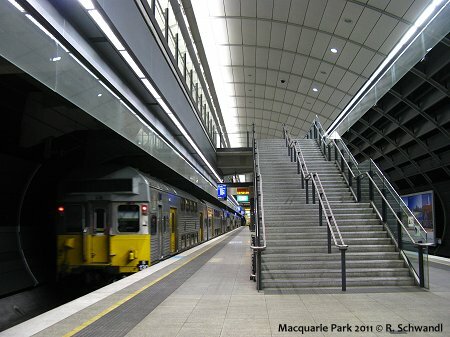 A diversion of the East Hills Line via the Airport opened on 21 May 2000 in time for the Olympic Games. 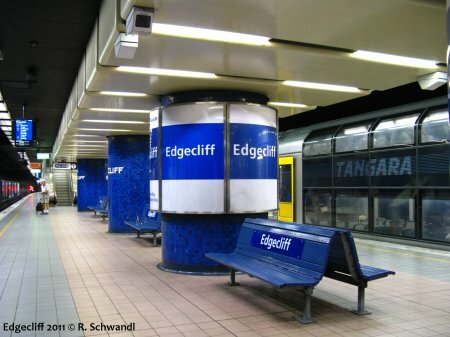 On 23 Feb 2009, the 12.5 km underground rail link between Epping and Chatswood in the northwest of the metropolitan area was added to the network. 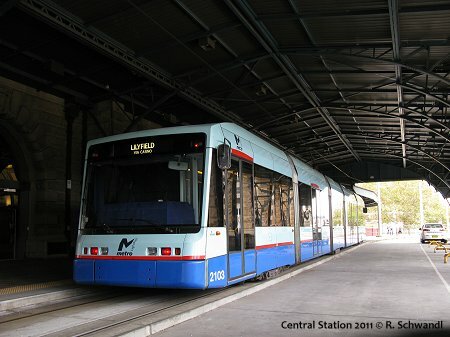 There are three intermediate stations. 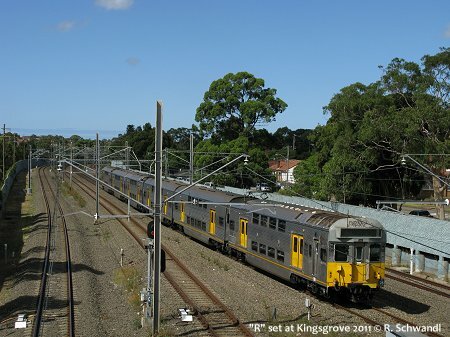 - Northwest Rail Link: Epping - Rouse Hill (Cudgegong Rd), 23 km now designed to become a driverless metro line, including 15 km tunnels from Bella Vista to Epping, to be linked to existing Epping - Chatswood tunnel, later planned to continue underground into the city centre with a tunnel below Sydney Harbour, and then take over the existing Bankstown branch. 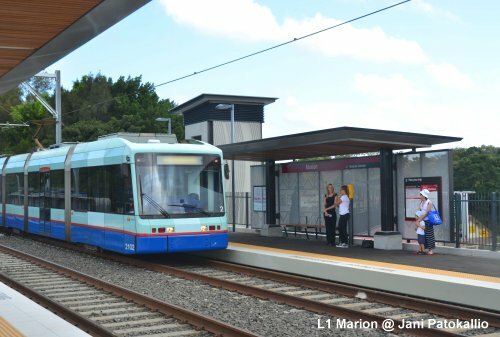 Starting from Central Station, a modern tram line (Sydney Metro Light Rail) runs via the Convention Centre and Darling Harbour to the inner western suburbs of Glebe and Lilyfield (7.2 km). The largest part of the route re-uses an abandoned freight railway. 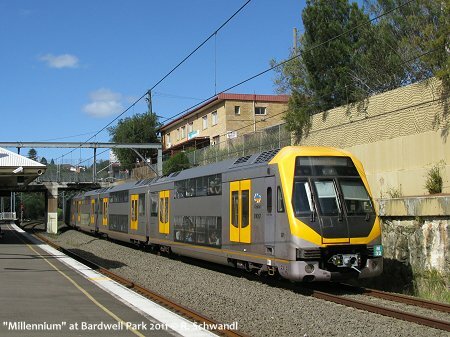 The light rail line, now labelled L1, was finally extended to Dulwich Hill in 2014. 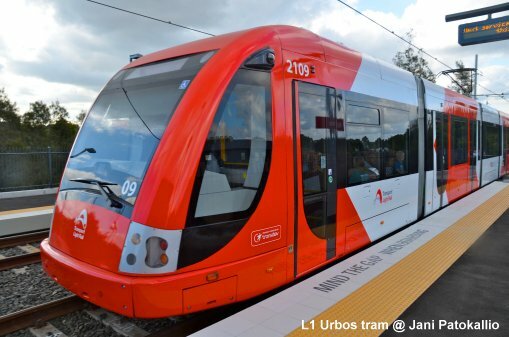 The Sydney Light Rail is operated by Transdev Australasia (TDA). 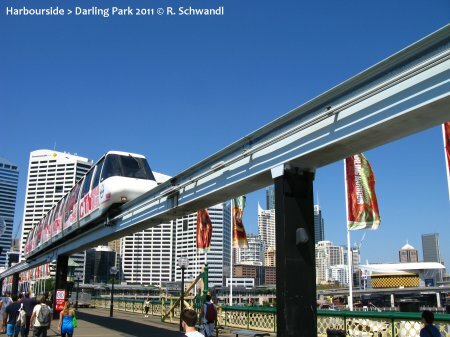 Construction of a modern tram line from Circular Quay via the CBD to the southeastern districts was launched in 2014 [Project Website]. 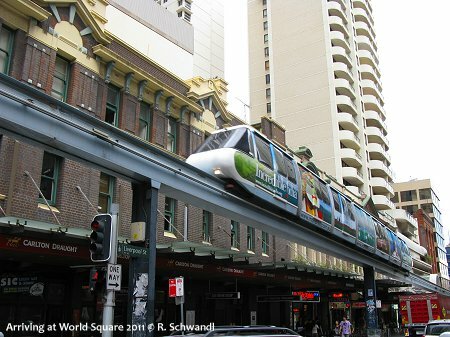 In the city centre of Sydney, the Sydney Monorail, was an elevated circle line running only anti-clockwise, linking many points of touristic interest in the central business district and the Darling Harbour area. 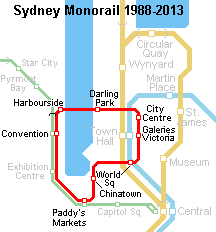 The 3.6 km monorail line started operations in 1988, but ceased to do so on 30 June 2013, before being dismantled.